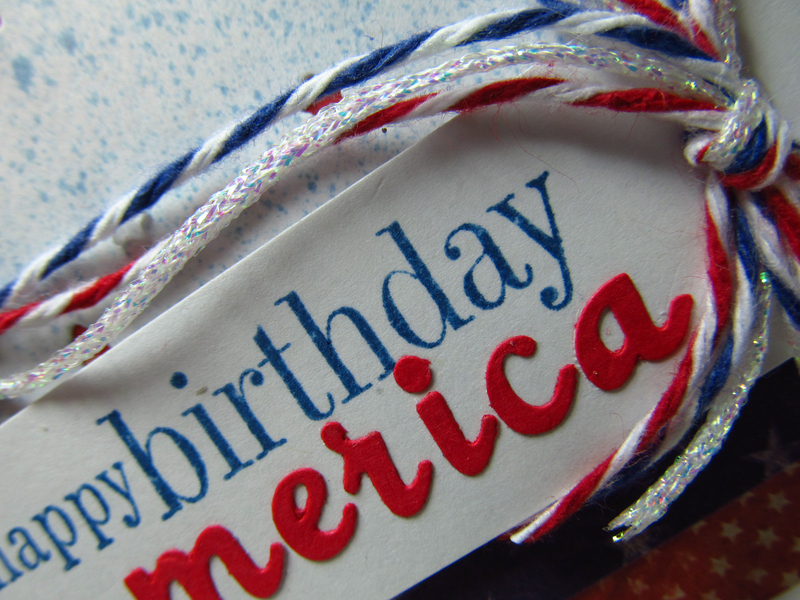 Happy 4th of July my American friends!!! I hope you have a great day planned with cookouts and fireworks. When Penny Black sent me these adorable Balloon dies I knew I had to make a card celebrating our Independence Day. White card stock was masked with balloons and then spritzed with a Copic spray. 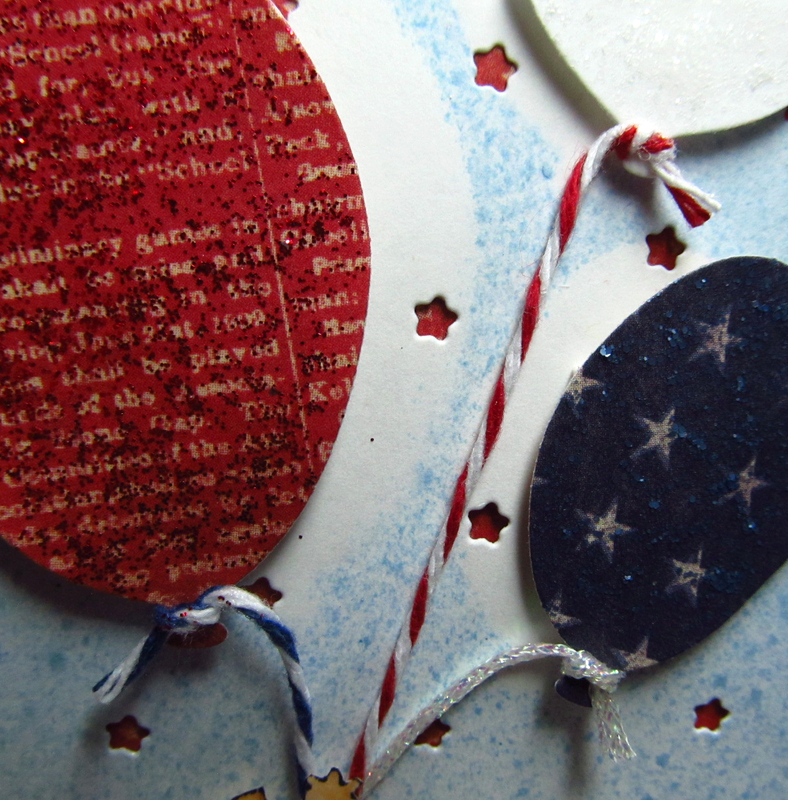 Die cut Falling Stars (Simon Says Stamp). Die cut Uplifting (Penny Black 51-004) from Authentique pattern paper "Pride". Adorable Hedgie is from the Piece of my Heart set (Penny Black 30-042), colored and fussy cut. Bakers Twine Maraschino & Midnight Blue (The Twinery) and the White Metallic cord (Kreinik) tied into a bow, glued under the hedgie, then attached to the balloons. 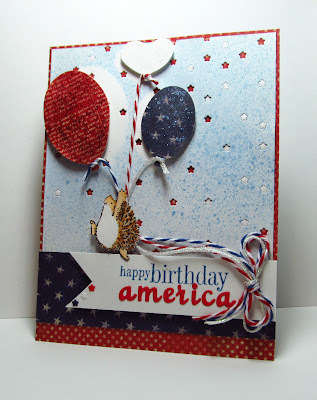 Sentiment is stamped (Friendship by Penny Black 30-160) and "america" is the Missy Micro die (Die-Versions). Card entered to challenges at Simon Says Stamp & Operation Write Home. Awesome card! Great layout and I love the balloons! Thanks for joining us at the Simon Says Stamp Challenge Blog! Too stinkin' cute!! Have a Happy 4th. Such a cute card! The patriotic balloons are great and I love the starry background. Oh this is just wonderful, Penny! 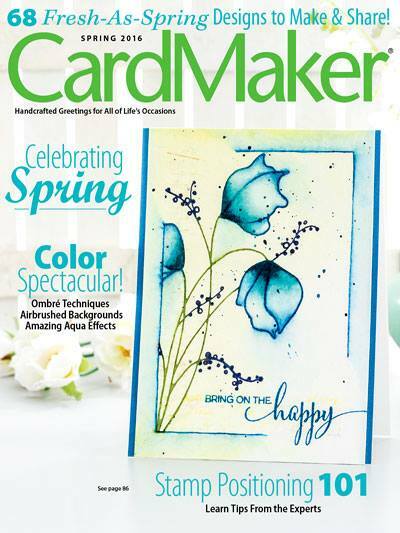 What a fabulous way to use the balloon dies! absolutely adorable... gotta love those little hedgies! !